Amanda and Jason's modern wedding at the Ravenswood Event Center was one for the record books! Starting with her gorgeous bouquet in bright colors, to the perfectly styled reception, not a single detail was forgotten! It was so important to A + J that their guests have a fun time and as an objective observer, I can say that was definitely the case! Guests dined at food stations serving delicious food and danced well into the night while a live band kept the atmosphere festive! It was an honor to be a part of your special day - congratulations you two! There were so many wonderful reasons to smile on Erin and Rick's wedding day of April 22, 2017! The sun was shining, champagne was flowing and joy was everywhere! Erin started her day getting ready in the beautifully lit bridal suite at the Warwick Allerton Hotel in the heart of downtown Chicago. Her bridesmaids wore pretty floral robes and Erin was sweet enough to gift them a pair of Kate Spade sunnies and sparkly Kate Spade flats to slip into for dancing later in the evening. After putting on her gown, a blindfolded Rick met her in the ballroom where the pair sat back to back, held hands for a moment and exchanged gifts. This moment was one of my favorites ever! After saying their vows in Lincoln Park's St. Clementine's Church, the party moved back to the Allerton where fun was had by all - well into the night! We are honored to have been a small part of their beautiful wedding day and hope you enjoy this sneak peek you two! It's Friday and a perfect occasion to share one of the most beautiful shoots I have had the pleasure of capturing. I have long been in awe of the grace and beauty of movement created by ballerinas and it was a personal dream of mine to capture it myself. On a beautiful Paris day in February, I met with McKeely Borger and Graham Kotowich of the Ballet de l'Opera De Metz Metropole and made my dream a reality! I am still mesmerized by how stunning these images are and I hope they make your day as well! photo taken on Contax 645, fuji 400 film | scanned and processed by Richard Photo Lab | wedding dress and veil from Sibo Designs. I am SO excited to finally share this gorgeous bridal editorial recently published in Trendy Bride Magazine! 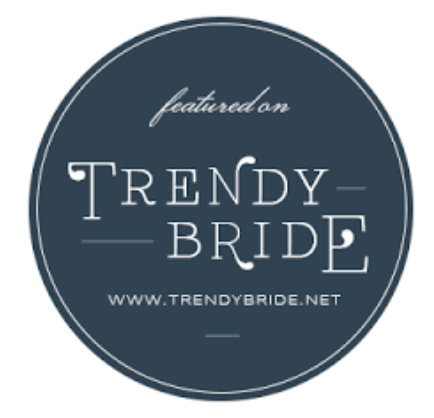 I am so EXCITED to FINALLY share the images from a fine art bridal editorial featured in Trendy Bride Magazine! Photographed with a Contax 645 with medium format film, this ethereal shoot was photographed at both the Museum of Science and Industry and Room 1520, in Chicago's trendy West Loop neighborhood. From the Trendy Bride Feature, "For rustic minimalism, this styled shoot from Chicago, Illinois, incorporates just a few elements for a big impact, including peach blooms, a dream venue, and classic bridal style. With a whitewashed venue, it doesn’t take much to create a standout design. Neutral tones and a few romantic additions round out the look for a truly resplendent vibe. The invitation suite is classic and simple. It features white parchment, cream-colored calligraphy and a personalized wax seal. The collection also includes the venue’s design." They wanted snow and they wanted art, so snow and art is what they got! This sweet couple studied art and history in college and so it was only fitting to choose the stunning Art Institute in Chicago for their engagement photos! With Bexy in town from England for the holidays and the perfect sunny, bright winter day, it was a perfect time for the shoot Amanda had planning for months! I had a lovely time with them at the Art museum and Millennium park and am looking forward to their wedding in 2018! Enjoy this sneak peak and congratulations you two!